U.S. District Court Judge allowed Trump's former personal lawyer a 2-month delay to prison for post-surgical recovery and to prepare for testimony before three congressional committees. Michael Cohen introduces Donald Trump, Sept. 21, 2016, in Cleveland. 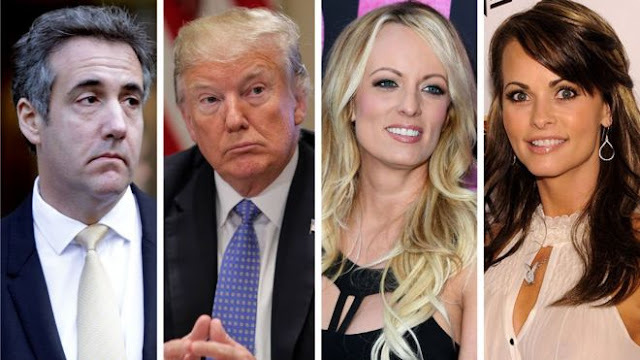 VietPress USA (Feb. 20, 2019): Michael Cohen, Donald Trump's former longtime personal lawyer, was sentenced to 3 years in prison for violating finance laws during the 2016 presidential election by handling hush money for Mr Trump's alleged lovers. 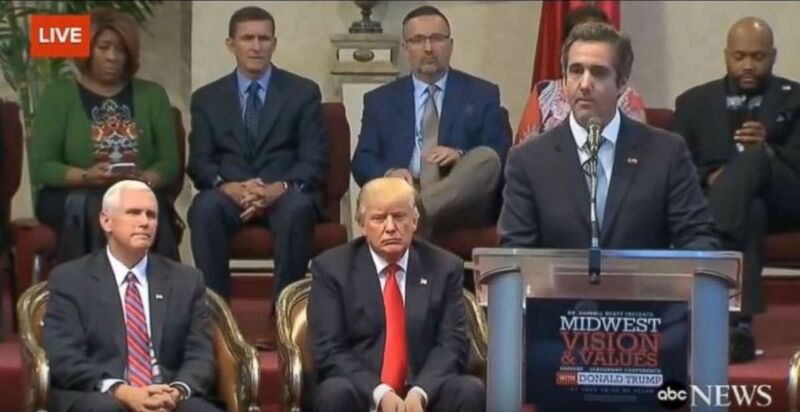 Cohen worked for Donald Trump from 2006 until May 2018. Cohen was a vice-president of The Trump Organization, and the personal counsel to Trump, and was often described by media as Trump's "fixer". He previously served as co-president of Trump Entertainment and was a board member of the Eric Trump Foundation, a children's health charity. From 2017 to 2018, Cohen was deputy finance chairman of the Republican National Committee. Trump employed him until May 2018, a year after the Special Counsel investigation began. The investigation led to him pleading guilty on August 21, 2018, to eight counts of campaign finance violations, tax fraud, and bank fraud. Cohen said he violated campaign finance laws at the direction of Trump and "for the principal purpose of influencing" the 2016 presidential election. In November 2018, Cohen entered a second guilty plea for lying to a Senate committee about efforts to build a Trump Tower in Moscow. In December 2018, he was sentenced to three years in prison and ordered to pay a $50,000 fine. He is scheduled to report to prison on May 6, 2019.(Wikipedia). Cohen is ready to "tell everything about Donald Trump that he knows", his personal lawyer, Lanny Davis, said. Cohen is due to testify in the coming weeks before the House of Representatives Oversight Committee in a public hearing, and before the Senate and House intelligence committees in closed sessions on the Trump and Russia probe. Trump has argued that Cohen had made up stories in order to get a deal. Trump denies there was any collusion with Russia to get him elected. In an interview with Fox & Friends, Trump said he had found out about the payments "later on", and that they did not come out of the campaign. Cohen's lawyers asked for a 60-day extension in a letter to U.S. District Court Judge William Pauley to allow Cohen to undergo "intensive post-surgical physical therapy" and to prepare for testimony before three congressional committees. A judge granted him a two-month delay to allow him to recover from a surgical procedure, according to a court filing on Wednesday. WASHINGTON (Reuters) - U.S. President Donald Trump's former personal lawyer Michael Cohen will now report to federal prison on May 6 after a judge granted him a two-month delay to allow him to recover from a surgical procedure, according to a court filing on Wednesday. Cohen's lawyers asked for a 60-day extension in a letter to U.S. District Court Judge William Pauley to allow Cohen to undergo "intensive post-surgical physical therapy" and to prepare for testimony before three congressional committees. "Mr. Cohen underwent serious shoulder surgery and this extra time allows Mr. Cohen to continue his physical therapy," Cohen's legal team said in an emailed statement. "In addition, he will be able to prepare for the expected testimony next week before Congressional Committees, which he welcomes." Federal prosecutors in Manhattan, who are handling his criminal case, approved of the two-month delay, the letter said. Cohen is due to testify in the coming weeks before the House of Representatives Oversight Committee in a public hearing, and before the Senate and House intelligence committees in closed sessions. Cohen was sentenced in December to three years in prison for crimes including orchestrating hush payments to women who claimed to have had affairs with Trump in violation of campaign laws before the 2016 election.